For Neishes, the most obvious site to see is Neish Island. Yes, I admit it is fairly small, but you still feel some sense of pride that once apon a time a long time ago, your relatives were outlaws and lived out on the island to avoid capture. 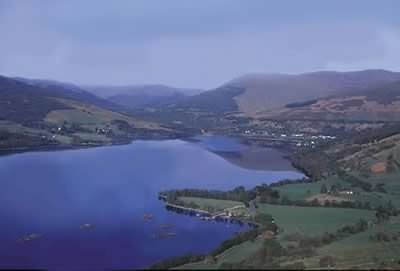 Neish Island is on Loch Earn and driving around this area is was a real higlight of our trip to Scotland. As well as Neish Island, there is also accomodation available in Neish house. When you have an unusual surname like this its amazing to come across it twice in one day! We didn’t stay at Neish house because at the time there was a minimum booking of a week and we didn’t have that long. 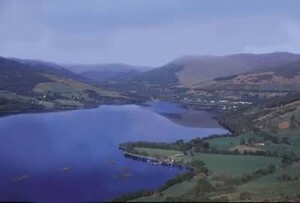 Another stop in the area that is worth a visit is the information centre at Killin at the western end of Loch Tay. There is a terrific display on the local clans and families – including the Neishes. 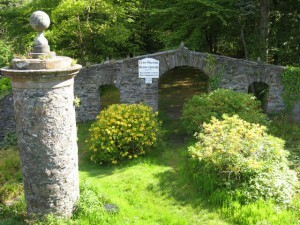 In Killin is the MacNab burial ground on the river Dochart. So just to show that there are no hard feelings, you can pay your respects at the graves of the MacNab chiefs. You will need to pick up the key from the information centre (its fun to watch their face when you sign your name Neish!). Im proud to b a neish whether we were outlaw’s in our past or not.mums family were neishes and my fathers were catto,s so ive had my name changed through deed pole to Neish and proud of it. Quite right! We know a lot about the Neishies ( that’s what we all ourselves) and we were outlawes but nice with it. Although we were a ‘small’ clan (in term of numbers) we were influential in a number of different ways. We are linked to Rossyln Chapel (please google it if you’re unsure what sigificance it has in the world) and enjoy the speculation of what may be interned in the subterranean vault. Nice to meet you Neishie! I visited neish Island with my fiancée in 2010, we stayed in neish house. Shame I can’t post pictures on here. We hired a boat and rowed over to Neish Island, I could feel the history and felt a sense of belonging. We also visited the Mcnab burial ground during our stay. I’m proud to be a Neish, definitely will visit here again. Beautiful place felt at home and loved it. And on return home we had a parcel delivered left with neighbours a few doors away, their surname Mcnabs haha!